Is the Queen really related to President George Washington? Well, apart from the hairstyles I can't see much family resemblance. Can you? I was casually nattering with my gang of weirdos, layabouts and assorted freelance beer researchers this lunchtime when one of them brought up the subject of genealogy. He said that he'd heard that her majesty the Queen and George Washington are related in some way. I nearly fell off my bar stool. I am still a bit dazed. Can anyone please undaze me and tell me if this is bizarre genealogical 'fact' is actually true? Or is it pure claptrap? If true, how are they related? 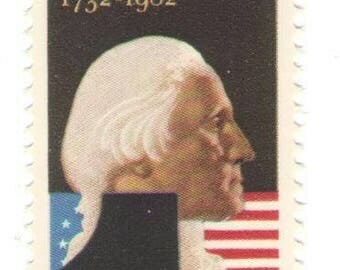 Re: Is the Queen really related to President George Washington? More legibly, one pair of Washington's great-grandparents (great^1-grandparents) was one pair of Liz's great-great-great-great-great-great-great-great-grandparents (great^8-grandparents). , ..., 1,024 pairs of great^8-grandparents (assuming no inbreeding, which perhaps is not unheard of in royal circles!). I believe this reasoning is why pretty much every european is related to Charlemagne, as it is almost a mathematical certainty due to the expansion of the set of grandparents as you go back in time. I'd never really thought that 8 generations of great grandparents runs into the thousands. It's common! And that really takes the wow factor out of our dear Queen and George Washington being vaguely rellies. And it explains why my grannie always used to insist that I am related to King Canute.